Abdalla Kitatta at the General Court Martial in Makindye recently. The High Court in Kampala has thrown out an application by embattled Boda boda 2010 patron Abdalla Kitatta in which he sought to stop his trial by the army court. 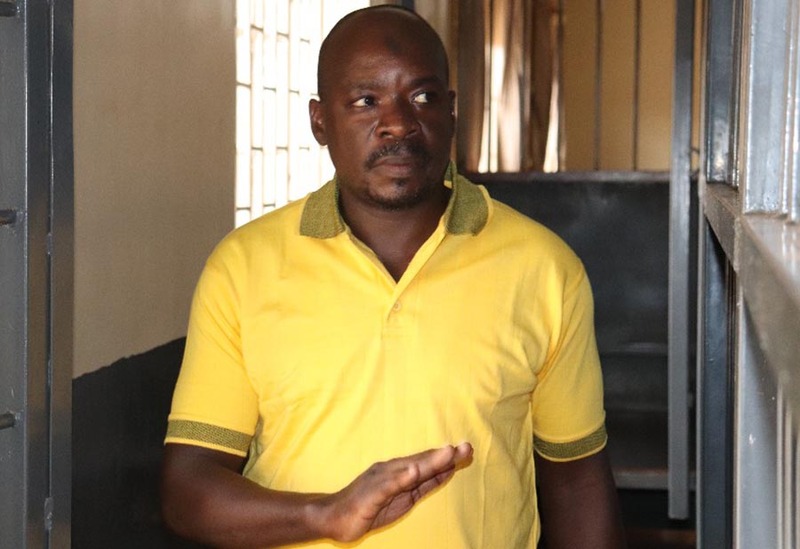 Kitatta, through his lawyers led by Jimmy Muyanja filed a suit in the crimes division of the High Court seeking redress on his trial by the General Court Martial in Makindye. On Wednesday afternoon, Justice Yasin Nyanzi ruled that the application cannot be heard by the crimes division of the High Court where Kitatta had filed it , advising him to try elsewhere. “The laws in this division do not apply to his application. The good arguments learned counsel Muyanja made can be answered by the civil division court or the Constitutional Court,” justice Nyanzi said in his ruling on Wednesday afternoon. The judge told Kitatta’s lawyers that his rights can only be enforceable by civil courts and not the criminal division. Through his lawyers led by Jimmy Muyanja, Kitatta dragged the Director of Public Prosecutions, Attorney General, General Court Martial prosecutors led by Maj. Raphael Mugisha, Capt.Samuel Masereje and Lt. Ambrose Baguma, registrar and the judge advocate Col.Gideon Katinda to court over what he termed as violation of his constitutional rights. In the suit in which Kitatta dragged the officials from the army court for their individual roles in his trial, the boda boda 2010 patron argued the prosecutors have no authority to institute charges against him and did it illegally. The Rubaga division National Resistance Movement chairman also accused Maj. John Bizimana, the army court registrar of denying him a copy of the court proceedings. Early this week, he wept in court as a Chieftaincy of Military Investigations(CMI) operative showed court two pistols and an SMG rifle allegedly found with Kitatta during his arrest in January.